Jason Kiesau believes that creating a culture of respect, love, trust, togetherness, and fun in the home can lead to closer families. If you have a family, whether you recognize it or not, you are a leader. It doesn’t if you are young or old, single or involved, married or divorced, you are a leader. If you have a partner, you are co-leading, and if you are a single parent, you are the sole leader. When I was a business coach, we would frequently remind our clients that leaders have three things: Vision, Action, and Spirit. In other words: you know where you’re going and why you are going there; you are committed to taking the appropriate action to get there; and you are doing it with a spirit that inspires others to be and do their best. The concept of being really busy seems to be a crutch for a lot of people. They don’t focus on their health, plan their finances, give time to people they say are important to them, or do the things they really want to do, because they are too darn busy. Well, that is flawed thinking and a bunch of BS! Jason has been studying personal, professional, and leadership development for the past 14 years and is passionate about helping people confidently pursue and achieve meaningful results. When he is not at home fulfilling his role of referee, all time quarterback, jungle gym, and dad, he is an author, independent speaker and facilitates training for leadership teams all across the United States. Jason was recently honored as a 2014 Forty Under 40, an award given to 40 local business leaders under the age of 40 who have demonstrated impressive career achievements and unparalleled community involvement. You can learn more about Jason by visiting his website: www.jasonkiesau.com>. I think everyone would agree that parenting in itself can be exhausting. I guess it just depends what kind of life you want to live and the results you desire. What you say “just exist” as you are, what does that look like? Sounds…exhausting. Do I ever get to just exist as I am? This is a great article. All of the points are important, but I think that “controlling your schedule” may be the one that makes or breaks the others. 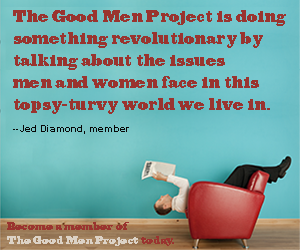 I write about that topic for women, but I think that it’s equally true for men and women. In families, with children, the parents often abdicate the responsibility to control the schedule and allow the children’s activities to do it instead. I agree with you 100%. I talk a lot about confidence vs. insecurity and how paralyzing insecurities can be if we don’t manage them. Stress is one of those thing that allow insecurities to live and one of the biggest causes of stress is our inability to manage the “rat race” and control our schedules and realize what is important and what really isn’t.